ITS’ YOUR ARMORY – USE IT DON’T LOSE IT! Inspired by the need to provide for the National Defense, this building trained, mustered and sent off countless military groups to defend and protect our interests at home and abroad. Training and drills kept the troops sharp and at the ready for the moment when duty called. That’s just part of the service this iconic building provided to this city and region. Sporting events, dances and performances filled the hall bringing the community together in celebration of the lifestyle our freedom afforded us. She also served in times of tragedy as volunteer efforts rallied to marshal supplies to assist in the days following what would become this generation’s Pearl Harbor as the tragic events of September 11th unfolded before a nation’s eyes. Throughout World War 2, Vietnam, Korea, Desert Storm, and terrorist attacks, this monument to the American spirit stood fast and at the ready to do what she could for a proud society. Wouldn’t it be shameful on all of us to let this historic monument fade into oblivion in the interest of taxpayer subsidized housing? Wouldn’t the community enrichment provided by historic interpretation, encouragement of the arts and the competition of youth sports be the most sincere form of tribute a grateful society could impart upon future generations. Sparking the minds of our children by showing them the possibilities that lay in front of them. To bring out the best of what New Rochelle has to offer and capture that American spirit again? Together we can bring back the connections to our rich history, to let future generations know we’ve done all we can to give them their chance to shine. Stay informed, stay involved, and most of all, stay the course. It’s YOUR Armory. Use it! Please join us as we pay tribute to the lives lost and take time to reflect on the tragic events of September 11, 2001. A Memorial Service and Candlelight Vigil will be held this Saturday, September 11, on the front lawn of the New Rochelle Armory. Services start at 7:30 PM. The Armory is located at 270 Main Street in New Rochelle. As family, friends and neighbors gather to show their support, they will be joined by units representing the United States Marine Corp, US Army,NRFD, NRPD, NY State Police, Westchester County Police,Westchester Pipes and Drum Corp, Westchester County Dept of Corrections, the MTA Police, the USO Liberty Bells and many more. This gathering reinforces just how many lives were affected by the tragic events of that day. A schedule of events to follow. Serving our Nation and our City in times of war and peace, the Armory also served as a staging point for relief supplies being sent to ground zero in the aftermath of the Trade Towers collapse. So please join us not only to remember those lost, but celebrate the time we shared with them. Update – JUST TO BE CLEAR- The following story is meant to represent what can be acheived through community involvement, nothing more, nothing less. That being said and to avoid any misinterpretation of the story, the city manager was doing exactly what he is required to do, that is, to protect the city’s best interest. Anything less would be inappropriate by any measure. To reiterate, Mr Strome was courteous and above all, professional in his dealings with the situation. The lack of basic paperwork required to perform such work left him with no choice in protecting the city’s interests. 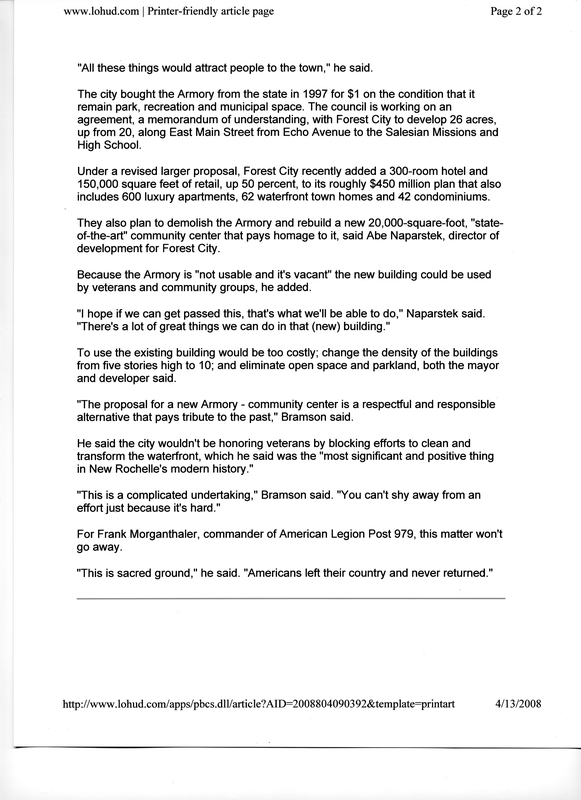 This policy is applied to anywhere there is work being done on city property, not just the Armory. This was explained to the volunteers and now to the readers. It was a beautiful Saturday morning when a small but enthusiastic army landed on the Armory property. With a level of commitment and energy that could only be rivaled by the brilliant sunshine, the all volunteer army commenced operation “clean up” at the beleaguered facility in hopes to spruce up the area for the September 11 Memorial Service. Armed with rakes, brooms and paintbrushes and an abundance of enthusiasm, it only took a few hours to spruce up the grounds of the iconic structure at no cost to the taxpayer. Making a difference isn’t always as easy as it sounds though. As the saying goes – no good deed goes unpunished – so, holding true to the adage, work came to a screeching halt when City Manager Chuck Strome arrived. In a courteous but firm manner, the volunteers were informed that all work was to stop and the premises need to be vacated. Perhaps the hardest part of the eviction was explaining to the younger volunteers how the cleaning up of overgrown brush and a new coat of paint could be considered as a bad thing. Helping them to focus on all they had done so far, instead of what they couldn’t accomplish, helped them to realize that their contribution made a huge difference in spite of the city’s actions. So maybe all the weeds weren’t removed, and maybe the painting wasn’t finished, but all in all the younger volunteers came away with a true sense of how commitment to your town and getting involved does make all the difference. A lesson well learned, even if there are few weeds left. Thank you to the Mercy College Soccer team! Volunteers making a difference – our city thanks you all! After meeting and talking with this bright young group, the future seems in good hands. A heartfelt THANK YOU! to all involved, especially Jim Killoran and Habitat for Humanity for making a difference every single day. The United Veterans Memorial and Patriotic Association (UVMPA) will be hosting it’s annual 9/11 Memorial and Candlelight Vigil on the front lawn of the New Rochelle Armory on Saturday, September 11, 2010 at 7:30 PM. The Armory is located at 270 East Main Street in New Rochelle. All are welcome. Join the community of family and friends to reflect on the events of the day that changed so many lives forever. By remembering those who were lost, we celebrate their lives and all that they shared with those who knew them. In the days and weeks following September 11th, the Armory served as a rally point for relief supplies being delivered to ground zero. Nine years later, the Armory still serves the community as a place for the relief and healing of a wounded community, and indeed, a Nation. 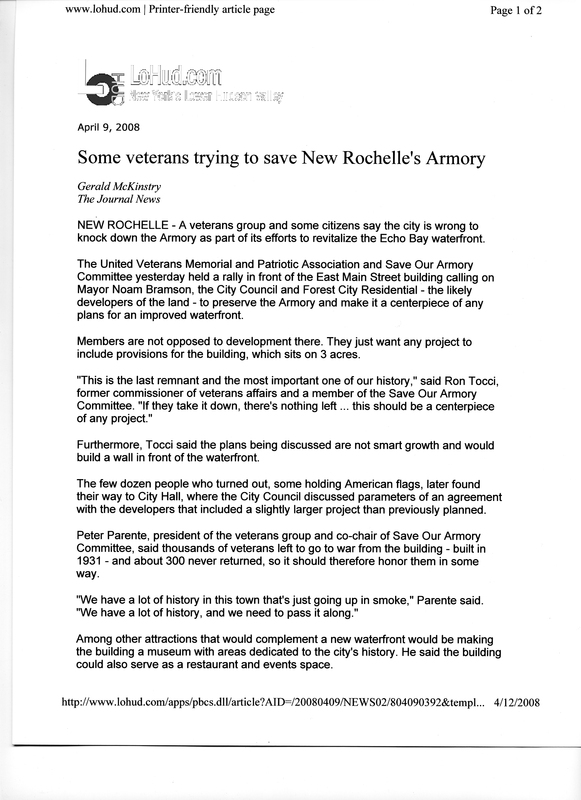 The New Rochelle Armory website (newrochellearmory.com) has achieved the new milestone of reaching over 2000 visitors. No doubt, the most recent events contributed to the surge of new visitors. The Save Our Armory committee and its supporters can’t thank you enough for your continued interest. People like YOU, with your vision of what the Armory could be, will keep the politician’s feet to the fire to encourage them to see what is so self-evident to us all. The Armory IS alive, and waiting to continue on its mission of serving the community, just as she’s done since she first opened her doors. With your continued support, we will soon see that vision realized. Thank you again and remember – It’s YOUR Armory ! Emotions run deep for anyone understanding the sacrifice made by those who answer the call of their Nation. To think this historic building shouldn’t become the centerpiece of any development at Echo Bay denies the contribution New Rochelle has made to shape world events. It deserves a world class treatment to honor those before us and to provide the path for those yet to come. 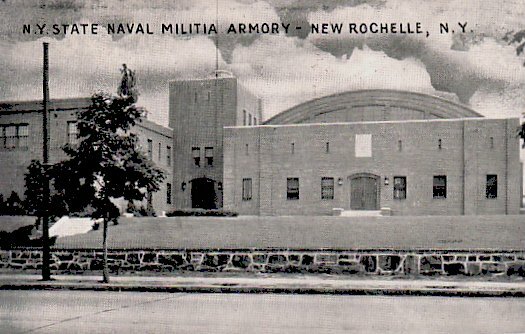 You are currently browsing the archives for the New Rochelle Armory History category.